Lipocine (NASDAQ:LPCN) published two press releases in the last two weeks signaling the advancement of LPCN 1144 towards a Phase II trial in non-alcoholic steatohepatitis (NASH) with biopsy confirmed NASH subjects. Yesterday, Lipocine announced meaningful liver fat reduction in patients participating in its study accompanied by favorable safety results. A week later the company informed investors that they had filed an investigational new drug (IND) application to begin a Phase II study for NASH. In the weeks prior, the company released other positive news regarding the grant of priority motion against Clarus and results from the phlebotomy study required to resubmit TLANDO. Lipocine has been developing its LPCN 1144 candidate for NASH since 2018 and is on the cusp of launching a Phase II study for the indication. Since LPCN 1144 is the same molecule as TLANDO, for which there have been numerous safety studies completed, LPCN was able to perform a proof of concept (POC) clinical study under the original IND to assess liver fat changes. This study was conducted in hypogonadal men at risk of developing non-alcoholic steatohepatitis NASH and results were measured using the magnetic resonance imaging proton density fat fraction (MRI-PDFF) technique. Interim results from the study were announced on January 17th and demonstrated an absolute mean reduction of 7.6 percentage points in liver fat from baseline and a 38% relative mean liver fat reduction from baseline. 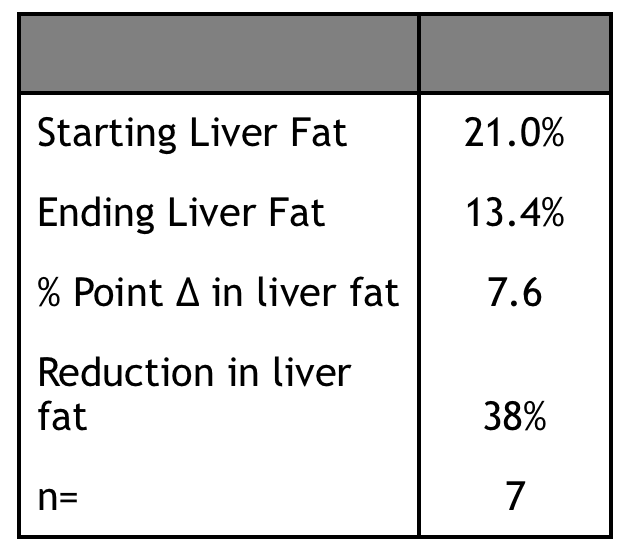 The reduction in liver fat is comparable with other NASH studies and testosterone undecanoate, in contrast to other novel molecules, is well understood from a safety perspective. While these are interim results from a small study and the data was collected using imaging techniques (MRI-PDFF) rather than biopsy, the results are supportive of advancing LPCN 1144 to the next stage. On January 24, Lipocine announced that it will be filing an IND to conduct a Phase 2 clinical study of LPCN 1144 in NASH with biopsy confirmed subjects. After filing the IND, the FDA has 30 days to reject the IND and if it does not make an objection, Lipocine is free to begin the study. We anticipate that the company will seek additional capital and determine the study design over the next few months, launching the Phase II mid-year 2019. Lipocine has also seen continued success in its patent dispute against Clarus regarding patent number 8,828,428. The United States Patent and Trademark Office (USPTO) granted Lipocine’s Priority Motion in the case and entered an adverse judgment against Clarus. This cancels Clarus’ claims to the ‘428 patent. In the legal world there always seems to be an appeal available, and we anticipate that Clarus will file such a motion by the end of February, which is a relatively low cost and quickly completed. However, if Clarus wants to continue the fight against Lipocine, they must subsequently file a brief, which will require greater expense and effort. This will require Lipocine to file a rebuttal brief, then the appeal will be heard at the federal circuit level, rather than by the USPTO. Based on our understanding, it is rare for a federal court to overturn a USPTO ruling. We are hopeful that Clarus will accept the USPTO ruling, thereby reducing additional costs for both parties and clearing the way for TLANDO to be commercialized following approval. Lipocine also reported the successful completion of its phlebotomy study on the last day of 2018, completing one of the two required studies to resubmit TLANDO to the FDA. The phlebotomy study measured testosterone concentrations in blood samples in plain serum separation tubes at there and five hour intervals after collection. There were 24 observations from 12 patients who were dosed a single oral 225 mg dose of TLANDO. Concentration levels at the indicated intervals were compared to immediately processed concentrations to determine any observed variation. The mean percentage difference of testosterone concentrations was -1.0% with a standard deviation of 9.2%. The difference was not statistically significant, demonstrating that there was no significant ex vivo testosterone undecanoate to testosterone conversion over the time period observed. Recall that this concern was raised as a result of Clarus’ use of special tubes for blood collection for its AdCom in January of 2018 rather than a specific concern over TU to T conversion for Lipocine’s data collection. We believe that the results of the study will put this concern that was raised in last year’s AdCom to rest. Lipocine has soldiered on addressing each of the difficulties it has faced, emerging with successful results for both its patent dispute and its phlebotomy study. LPCN 1144 is an exciting program that shows promising efficacy in small sample size, preliminary testing. While it is still early to get too excited about LPCN 1144, there is enough supportive data to advance to the IND submission stage and the launch of a Phase II study. We see next steps for Lipocine focused on completing the blood pressure study and resubmitting the NDA for TLANDO and raising capital to launch the Phase II LPCN 1144 trial, assuming no concerns are raised by the FDA. 1 Kim, Kilyoung, et al. Hypogonadism is Associated with NAFLD: LPCN 1144 MRI-PDFF Clinical Results. Keystone Symposia on Integrated Pathways of Disease in NASH and NAFLD Conference. Santa Fe, New Mexico, January 22, 2019.